Do you remember growing up and having to swallow a spoonful of thick castor oil to keep colds and flu bugs away? If you’re like me, it felt like cruel and unusual punishment, but it turns out Mom was onto something. 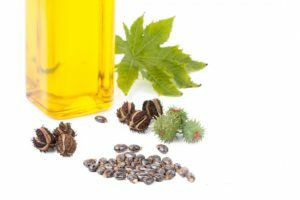 Castor oil comes from the castor plant which has the Latin name Ricinus Communis. It’s been used throughout the ages for eye infections, digestive issues, natural skin care and as an antibacterial agent. In fact, use of castor oil to treat a host of medicinal ailments dates back to ancient Egypt. Today, traditional healers still use castor oil for its potent healing properties. Castor oil contains powerful antioxidants and has a broad range of nutrients. This combination makes an effective natural treatment for cataracts. It’s believed that cataracts is caused by advanced oxidation of the lens. Holistic healers like the late Edward Cayce used castor oil’s antioxidant properties to reverse cataracts and nourish the eye back to health. Castor oil creates blood circulation wherever it’s applied on your body and helps to get rid of toxins. It’s also easily absorbed through your skin which stimulates your lymph nodes – that’s your body’s internal drainage system that helps keep you healthy. It can also have anti-inflammatory and pain-reducing effects. It’s for all of these reasons why castor oil packs are sometimes used as a homeopathic method of relieving menstrual cramps or sore muscles. I used castor oil on my aunt’s eye when she developed a stye. She had a painful white pimple inside her eyelid that caused some swelling. I used organic, cold-pressed castor oil and dropped 3 or 4 drops directly into each eye. I helped her do this each night before bed for several days, and the style went away in about 7 days! Her eyelid was no longer swollen and the white pimple had been reduced to almost nothing. The castor oil had effectively treated her eye infection, removing the inflammation and pink color. A close relative of mine used castor oil to treat inflammation that developed in one eye from cataract surgery. The prescribed eye drops were expensive and didn’t work. After several refills of eye drops with no improvement (and at my urging), she decided to give the oil a try, and that’s when she finally got relief in the inflamed eye. After a week or so she noticed that the bump that appeared in the inflamed eye had finally started to diminish, so she could see more clearly in that eye. The oil did what the eye drops could not do – treat the inflammation. For myself, I use castor oil at night for maintenance as often as I can remember to do it. I use a glass eye dropper and drop 2 to 3 drops of organic, cold-pressed and non-GMO castor oil into each eye just before bed, since I wear glasses. Your vision will be blurry for few minutes as the castor oil coats your eyes, so be sure to do this when you’re at home. This practice is said to help prevent the formation of cataracts. I’ve noticed that it helps sharpen my night time vision too. And another perk… I get a deeper, more restorative level of sleep when I do castor oil drops in my eyes. Do you have a castor oil eye healing story to share? Please comment below and tell us your effective healing regimen so we can spread the word!